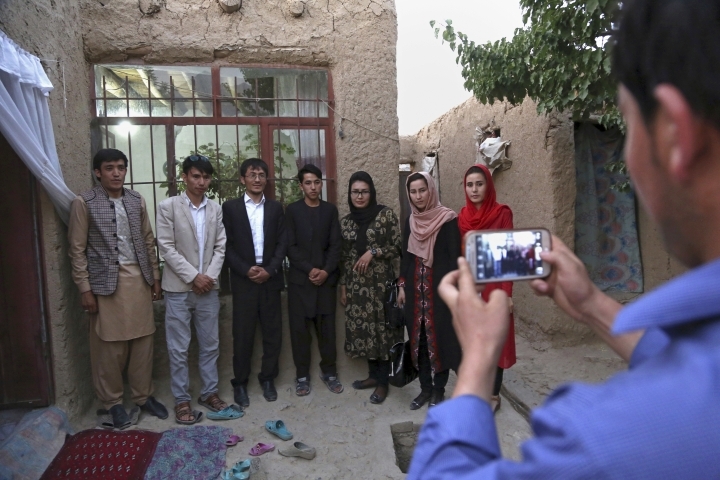 KABUL, Afghanistan — Sultan Hossaini sent three of his children from their rural home to the capital, Kabul, hoping they would gain degrees and employment in the new Afghanistan that was promised after the overthrow of the Taliban. But one was killed by a suicide bomber, and the other two face dwindling opportunities and mounting fears as the country slides into chaos. Despite 16 years of war and billions of dollars in international aid, security is worsening and jobs have grown scarce. More than 2.5 million Afghans have fled — the second largest refugee population after Syria's. Hossaini's oldest son, Khadim, was 10 years old when the U.S.-led invasion toppled the Taliban after the Sept. 11 attacks in the United States. He went on to study computer science and earn a degree, but these days he is searching for work. Khadim's younger sisters, Najiba and Maryam, were part of the first generation of Afghan women to attend school after the fall of the Taliban, who had outlawed women's education. Najiba studied information technology and was eventually hired by the Petroleum Ministry, which sent her to Japan to earn a master's degree. But as the Hossainis pursued their dreams, Afghanistan remained mired in conflict. The Taliban have expanded their reach across much of the country, where they compete with increasingly powerful warlords. Corruption is rife, and the economy is in ruins. 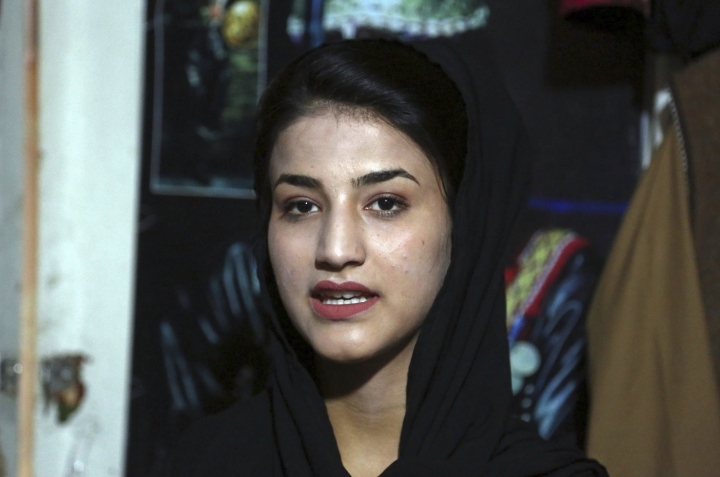 Maryam, who is studying computer science in Kabul, said her sister had considered staying in Japan, fearful of the growing unrest. 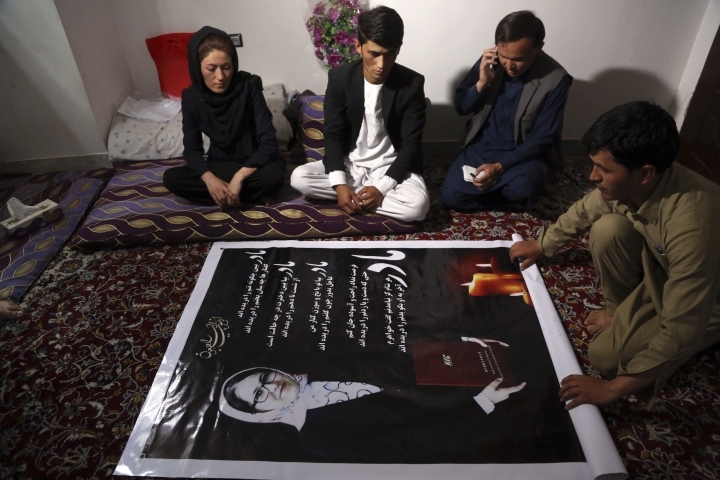 But Najiba eventually returned, only to have her improbable journey ended by a suicide bomber, who rammed his car into a bus full of Petroleum Ministry employees on July 31. 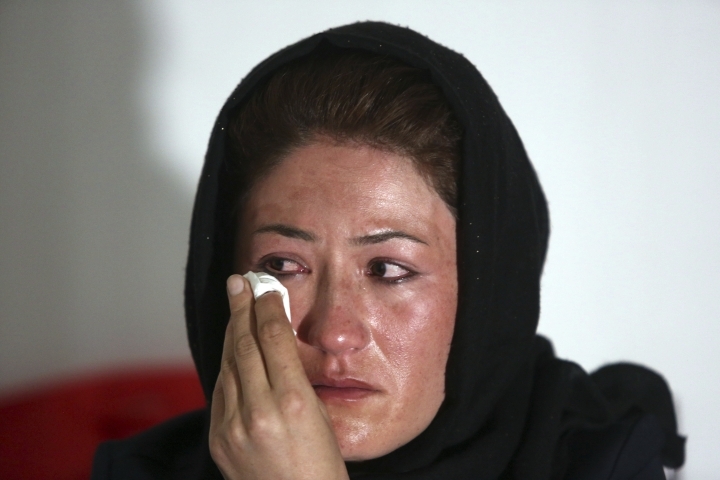 "All my dreams for my country, for my children, died with Najiba," said Hossaini. Maryam recalls racing from hospital to hospital until finally she found what remained of her sister — a hand and a leg. She recognized her sister's engagement ring, which Najiba's fiance had given her after making two trips to their rural home in the Daikhundi province to convince her parents he was good enough to marry their accomplished daughter. "Every day someone is dying. Who can live in Afghanistan without wondering if they will be the next to be killed?" Maryam said. "We have only one hope now in Afghanistan, and that hope is just to survive." Andrew Wilder, vice president of the United States Institute for Peace's Asia program, said Afghanistan's young were the greatest benefactor of a post-Taliban "bubble economy" generated by international aid as well as opium trafficking. "High-paying jobs were relatively plentiful for bright young Afghans with English language and computer skills," he said. Those opportunities dwindled as the security situation worsened, and the bubble finally burst after 2014, when the U.S. and NATO formally concluded their combat mission. Aid organizations also scaled back efforts in response to the growing chaos and the need to address other global crises, including in Syria and Iraq. The deterioration has fueled a "growing sense of hopelessness and despair" that has led many Afghans to flee, Wilder said. Afghanistan's deputy minister of youth affairs, Kamal Sadat, sees a missed opportunity. "We had a golden chance to change things with all the money which came in," he said. "We didn't use those opportunities the way we should have." He said more attention was paid to building schools and universities than to staffing them with quality teachers. Nowadays many Afghans have turned to private institutions instead. Many young people say they know of someone who has left and that they would do the same if they had the means. 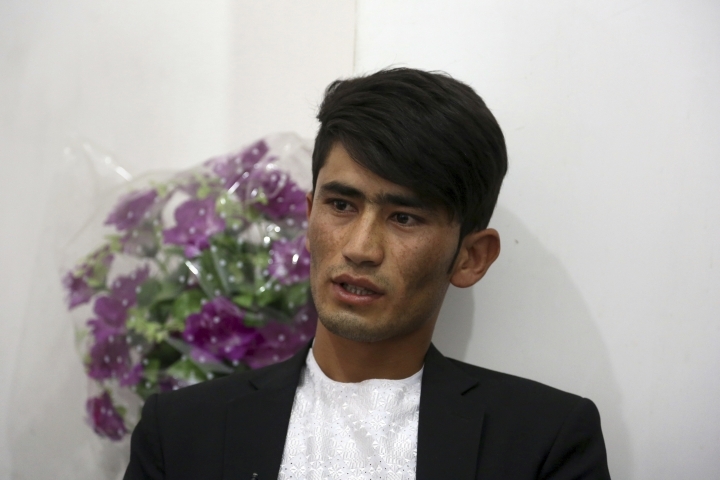 Shaban Hamraz works in a local grocery store, but the 19-year-old says he hopes to leave Kabul for Iran or Turkey. Three friends recently headed to neighboring Iran, and Hamraz has heard that some smugglers charge as little as $1,400 for the crossing. Of those who remain, many refuse to attend school or pursue other opportunities because of the violence. 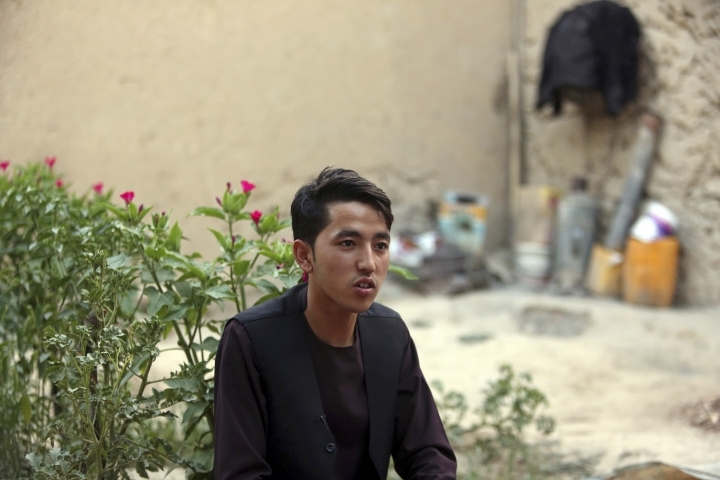 "In just one month, three attacks in Afghanistan killed almost 100 people," said Ahmad Riaz, an 18-year-old high school graduate. "I have no heart to go out of the house." An Afghan man, who asked not to be named because he works for a foreign organization and fears Taliban retribution, said he sent his entire family to live in Turkey last year after a Taliban assault on the American University of Afghanistan in Kabul, where his son was a student. He recalls watching the bodies being carried away from the campus as he fearfully awaited word on his son. He finally emerged unharmed at 4 a.m. He says he kept his family in Afghanistan through decades of war and instability, but now he believes it's too dangerous for them. Despite the challenges, there are still pockets of hope. Mahal Wak was in the vicinity of the blast that killed Najiba, and recalls the screaming, the shrapnel and the bodies. "I was in a bad condition," the 17-year-old said. "But all I could think of at the time was to help the wounded, the children." 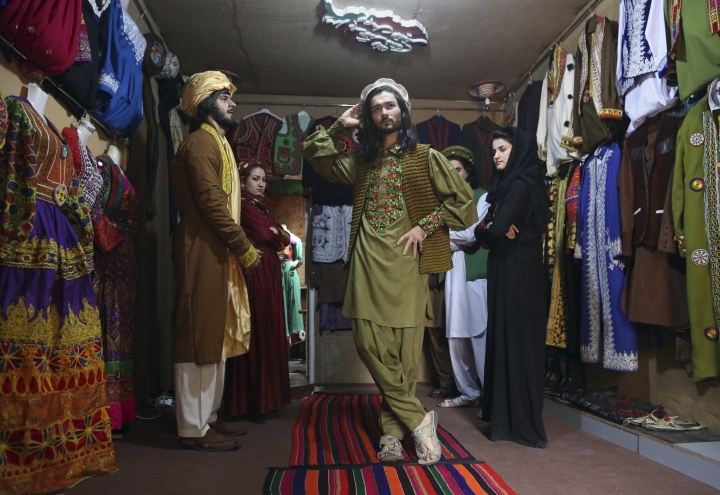 She's determined to remain in the country, and to continue working as a model for traditional embroidered Afghan clothing. "If (the Taliban) think this is wrong that is their mistake. We are sharing our culture," she said. 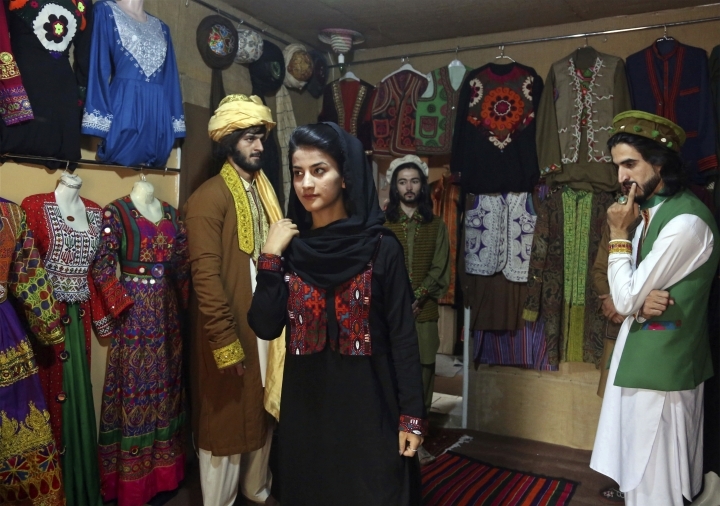 Her employer, Ajmal Haqiqi, who hails from the restive Ghazni province, said he exhibits and markets the traditional clothing in hopes of preserving Afghanistan's 5,000-year-old culture. "I think if I die here or somewhere else, does it matter?" he said. "I love my country."